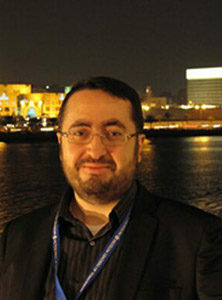 Fatih Alev has served as an imam in Copenhagen, Denmark from 1999 to 2006. He is currently chairman of Mosque Association Copenhagen, as well as co-editor of Islam.dk. In addition, he is boardmember of the Islamic-Christian Study Centre, a dialogue and diapractice oriented association established in 1996 by Muslims and Christians in cooperation. From 2001 to 2006, Mr. Alev was a columnist for the daily Politiken, contributing monthly articles on religious and social issues, often commenting on debates surrounding Islam and Muslims. He has written a number of articles for books on society and religion, including An Ottoman in Denmark, Islam in New Danish, Christian-Muslim Relations Now and in the Future, and Christian-Muslim Counseling in Copenhagen.